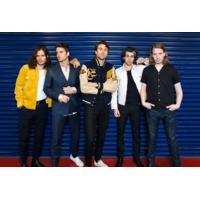 The Vaccines are a London-based indie rock band that formed in 2010. The band's debut album, What Did You Expect From The Vaccines? was released through Columbia Records on 14 March 2011. On 5 January 2011, the band were placed third in the BBC's Sound of 2011 poll.